OOPS with C++, Operating System, Big Data, Web Mining. 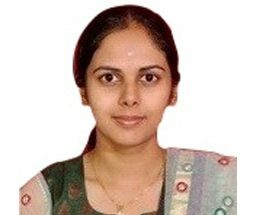 Prof. Pallavi has a bachelor’s degree in Computer Science and Engineering from Atria Institute of Technology (VTU), Bangalore, and an M.Tech. degree in Computer Science and Engineering from Nitte Meenakshi Institute of Technology (VTU), Bangalore. She has published two papers in ERCICA and IEEE conferences on android consumer applications. She has received an award for academic excellence in her M.Tech degree.